I am sorry to say, but I did not like this book at all. It is about a girl who goes to bury her brother just because her uncle says he is a criminal and should not be buried or remembered when the other brother gets to be remembered as a hero. The whole story is told from the point of view of a crow!! And at the end, EVERYONE dies, except the nasty uncle who lives!!!! Seriously?? What I like best about it is: Er, nothing. Sorry. Recommended Reading Age: 132 yrs and above. You will like this book, if you like: Silly endings and crows talking! How does it make me feel when reading it: It made me feel annoyed that this is the first book that I did not like. 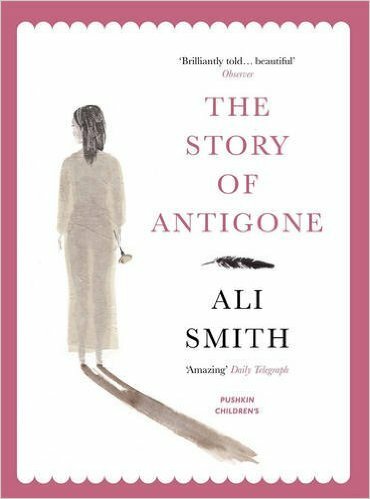 This entry was posted in Book Review and tagged Ali Smith, Antigone, Book Review. Bookmark the permalink.